Controversial former UK Prime Minister Tony Blair is now an international Peace Envoy, philanthropist and £12 million a year public speaker. 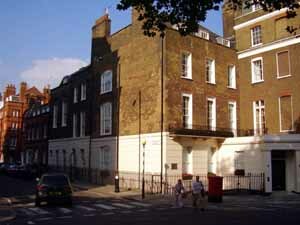 The Office of Tony Blair is based at 9 Grosvenor Square. 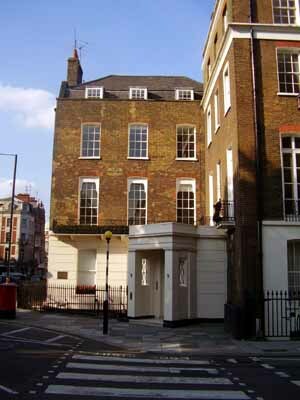 This was once the first US Embassy, back in the 18th century, and is situated at the north east corner of Grosvenor Square and the corner of Brook Street and Duke Street. Property Week reports that the rent on these offices is over half a million pounds a year. This is all paid for by the Quartet on the Middle East - the United States of America, the Russian Federation, the United Nations and the European Union, for whom Tony Blair acts as a Special Envoy mostly to Israel and Palestine, as well as a base for his Faith and Sports Charitable Foundations, and Corporate Directorships etc.